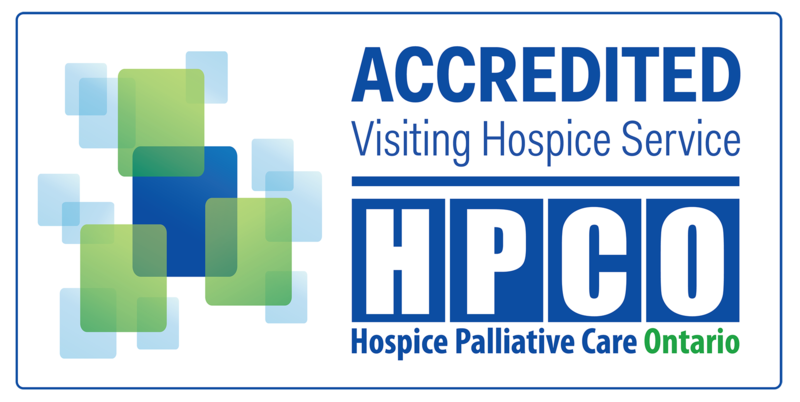 Hospice Vaughan volunteers provide compassionate companionship for adults, seniors and children facing a life-limiting illness and empathetic support to caregivers and their families from diagnosis through to bereavement. We offer a variety of volunteer programs at our organization. Watch our Volunteer Video and hear from some of our dedicated and hardworking volunteers who share their time and talents with Hospice Vaughan. Volunteers assist clients, their families, and caregivers by spending time with the client and engaging clients in activities (e.g. board games, reminiscing, looking at photo albums, or going for walks), providing emotional support and companionship, or providing respite care to caregivers. Volunteers in this role do not provide personal care or perform medical procedures, but rather spend time with clients to engage them in activities and provide caregiver relief. Volunteers help co-facilitate support groups by providing emotional support to caregivers, families, and friends following the death of a loved one. Volunteer co-facilitators and group participants work together to develop coping skills to assist with the transitioning through the grieving process. We offer various support groups including, but not limited to, child loss, parental loss, spousal loss, sibling loss, or mixed-relational loss. Volunteers assist children and teen clients with understanding loss, grief and bereavement. Volunteers participate in a variety of programs which help children and teens cope with the emotions and stresses of losing a loved one. They help children and teens navigate the grief and bereavement process through games, arts and crafts, and other play techniques. Volunteers can assist with various programs, such as the Children and Teens Grief and Bereavement Support Group, “Hands of Hope” Program, and Holiday Parties (e.g. Valentines Day, Easter, Halloween, and Christmas). Our day program is for clients who are facing a life limiting illness, but are still able to visit our facility. The morning is filled with socializing, bingo, light fitness activities and ends with a delicious lunch. Social volunteers are responsible for providing social and emotional support to clients. Kitchen volunteers are responsible for prepping, cooking and delivering lunch to the clients. Volunteers assist with various administrative tasks such as data entry, filing, photocopying, answering the phone, handling the front desk and reception. Volunteers may also assist with in-office kitchen support, cleaning, and landscaping activities. Volunteers with special skills (e.g. cooking, crafts) provide learning opportunities for clients, caregivers and volunteers who wish to participate. Volunteers trained in providing complementary therapies work with clients to provide emotional and physical support. Volunteers must be trained and certified in therapeutic remedies such as Reiki, Meditation, Therapeutic Touch, Qigong, Art Therapy, Music Therapy, Massage Therapy, and Visualization and Guided Imagery. As representatives of Hospice Vaughan, volunteers will help prepare for, attend, and assist with our various outreach and fundraising events to educate the community about our services. Volunteers will also assist our team with raising funds, developing partnerships within the community and seeking donors for our future residential hospice. Hospice Vaughan has several special events that require volunteer support such as the Annual Gala, Hike and Bike, Annual Candlelight Memorial Service, Holiday Cheer, and other community recruitment events (e.g. Woodbridge RibFest, Farmers Market, University volunteer recruitments, etc). Volunteers assist with marketing-related tasks such as promoting Hospice Vaughan through our website and various social media accounts. Volunteers can also be responsible for community networking to provide awareness and education about Hospice Vaughan.